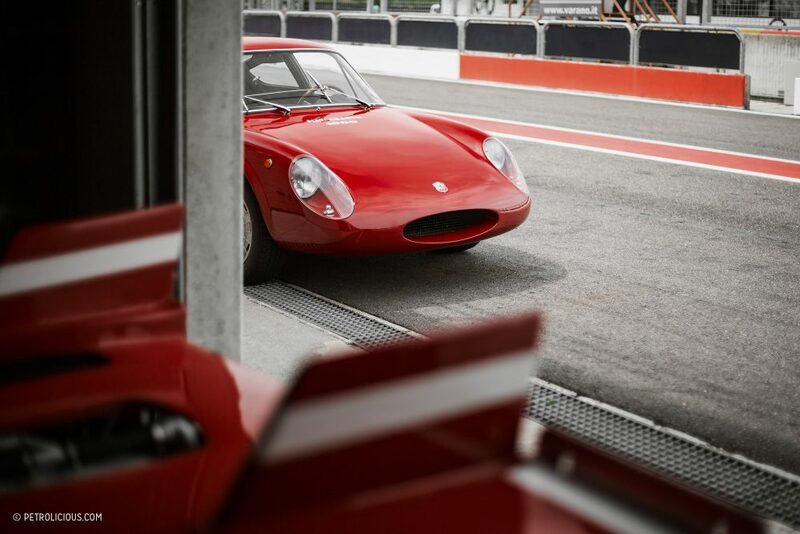 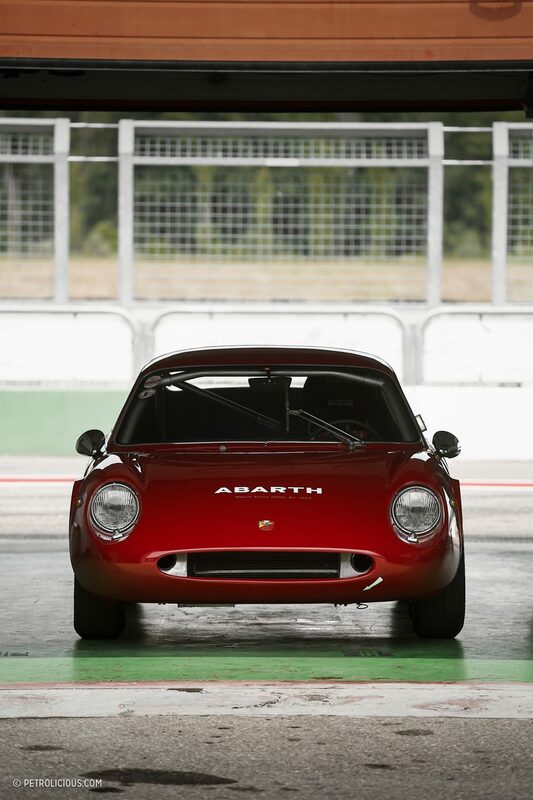 Try to define the type of enthusiasm that leads to a love for a particular car brand and you’ll find people like Anthony Berni, founder of Abarth specialists Berni Motori, and organizer of the rather excellent Abarth Historic Track Day event held every year in June. 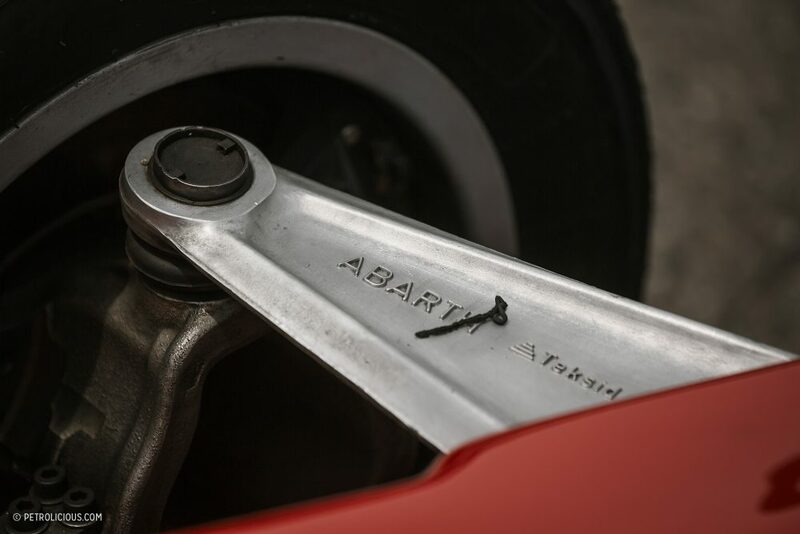 A devoted Abarthista, Mr. Berni is an Italian-Welsh gentleman who, in the last 30 years, has created a lively international community dedicated to this legendary manufacturer. 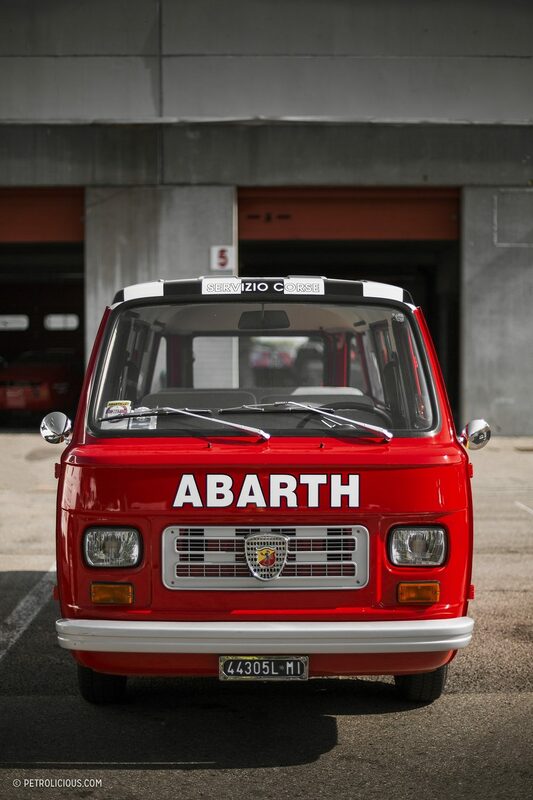 A fine collector of Abarth’s finest machinery, he is what you would define as a hard-core petrolhead in addition to his vast Abarth acumen. 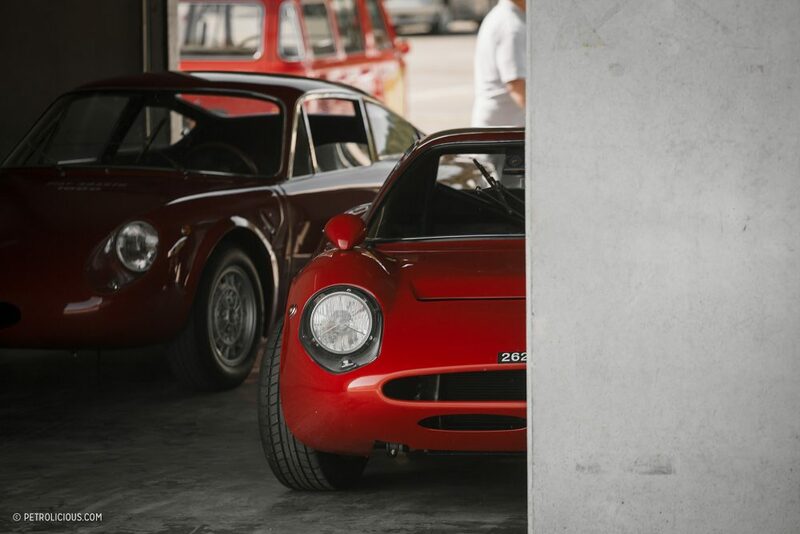 Speaking to me last Friday in his worn racing overalls on a hot summer day at the Autodromo di Varano de’ Melegari, his eyes are filled with the passion of a man who’s still on his life’s mission; Berni Motori is one of the leading vintage Abarth specialists, and has been assisting collectors by issuing original and period-correct parts for all pre-1971 competition models. 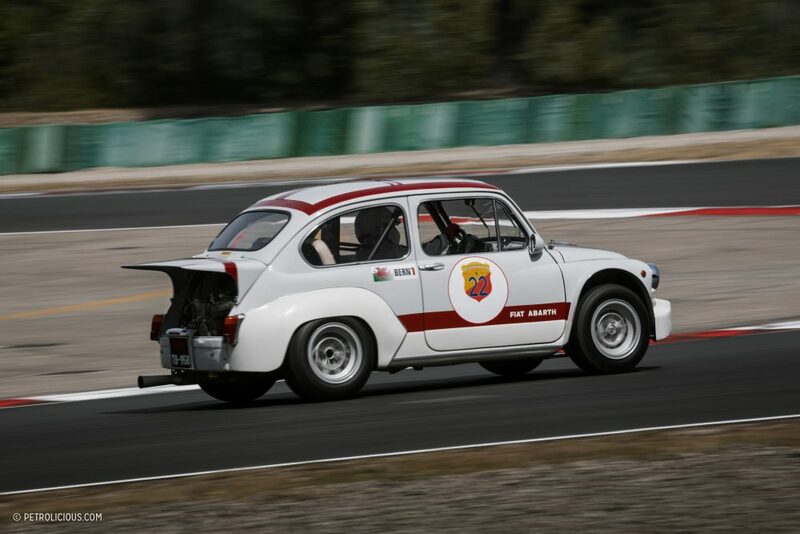 Of course, he didn’t stop there, as he also begun collecting vintage Abarths of his own, starting with a 1000 TC Berlina Corsa, a Fiat 600 on steroids, as well as a 2000 SP, a 1300 Periscopio, a Monomille, and a couple of other remarkable models. 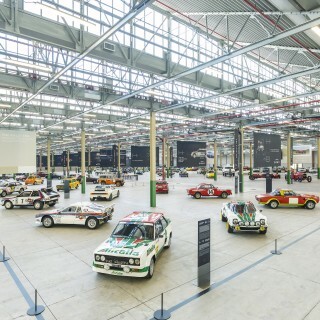 His passion eventually led him to build an entire community of “purists” who ended up in making a tight circle, all revolving around Mr. Berni and his parts. 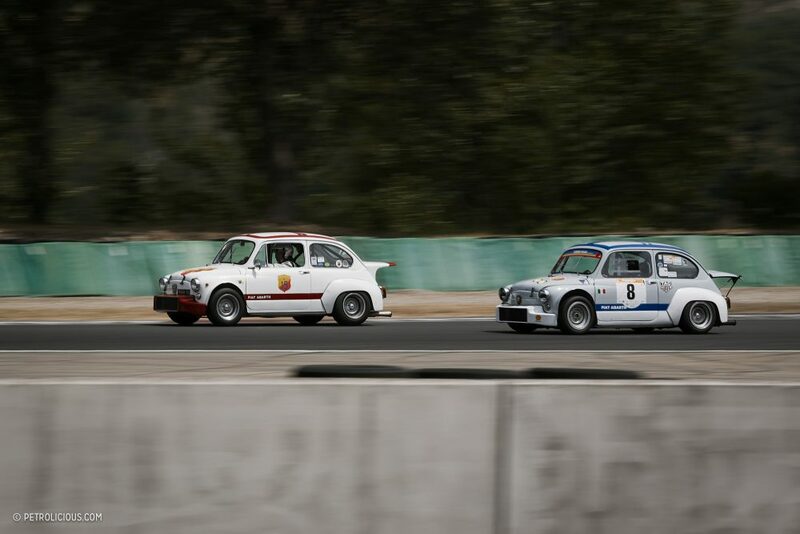 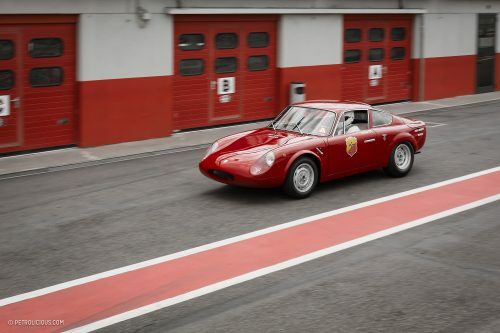 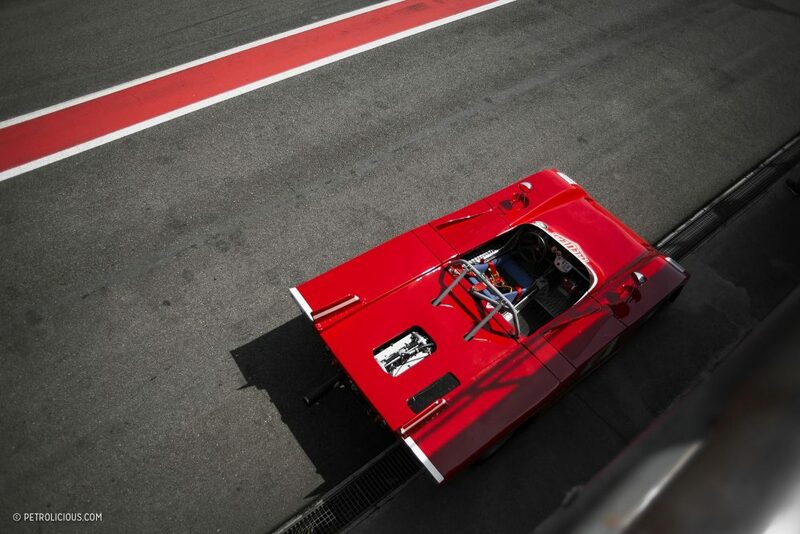 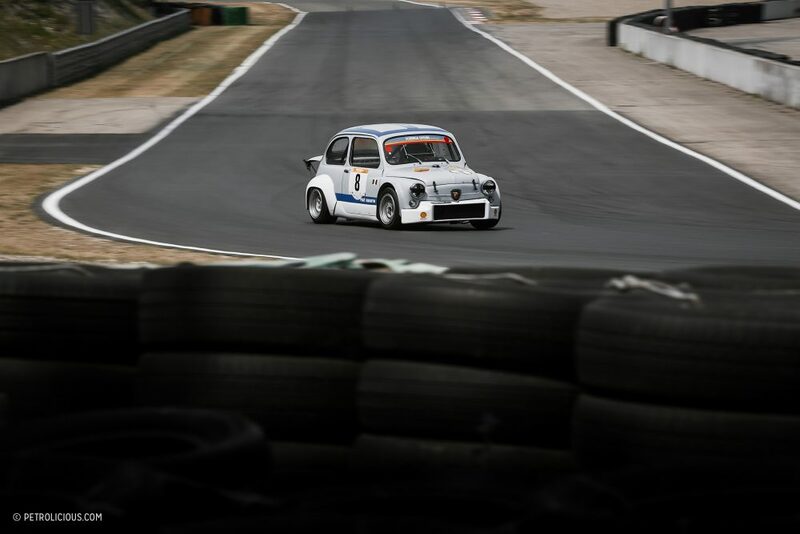 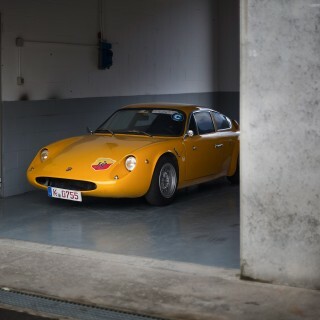 Despite the absence of the usual “Italian style” crowd who animates these sorts of events, the Abarth Historic Track Day is a quite prestigious and international event, with lots of collectors coming from all over Europe. 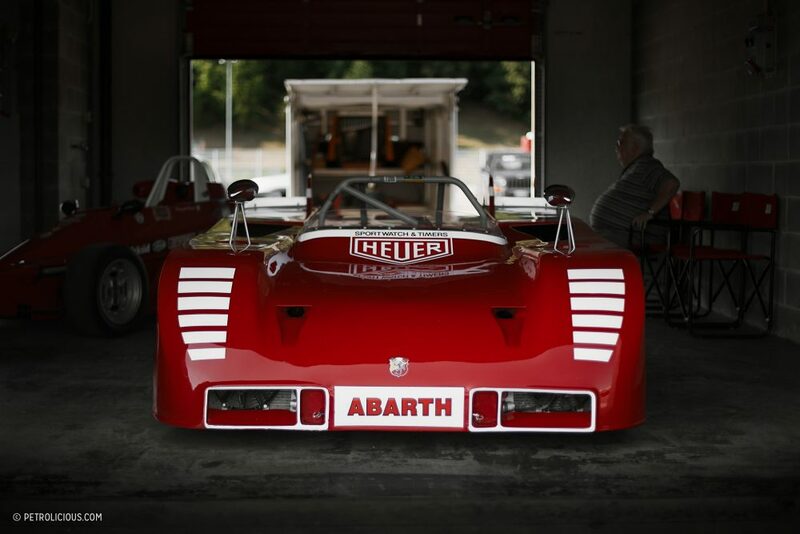 Seeing caravans and trucks parked all over the paddock would give you the impression of a week-long event of racing, while in reality, it all lasts for just one day before leaving no trace of the proceedings. 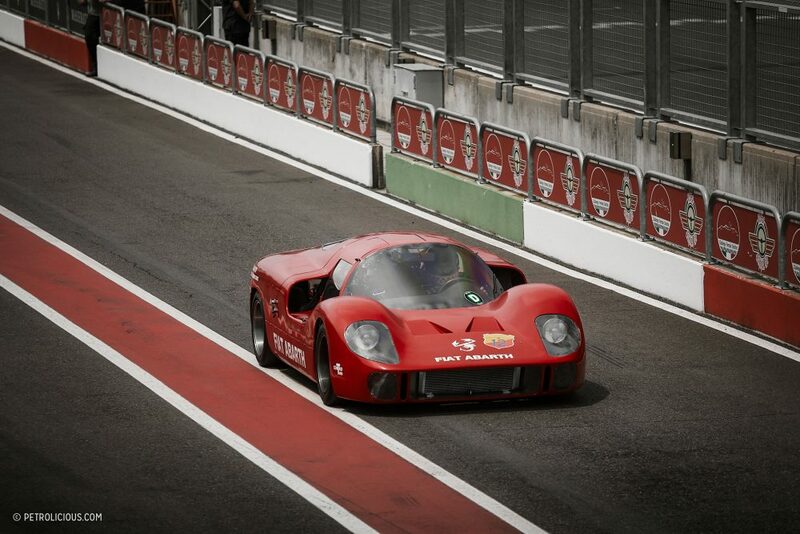 On that day though, the aural soundtrack is a concert of tiny—well, except for the T140’s monstrous 6.0L V12—engines which echo all across the nearby hills and give you goosebumps. 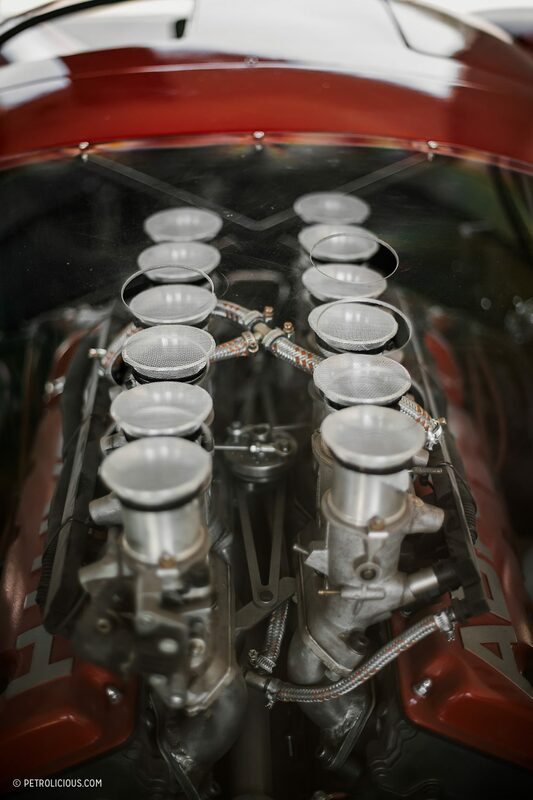 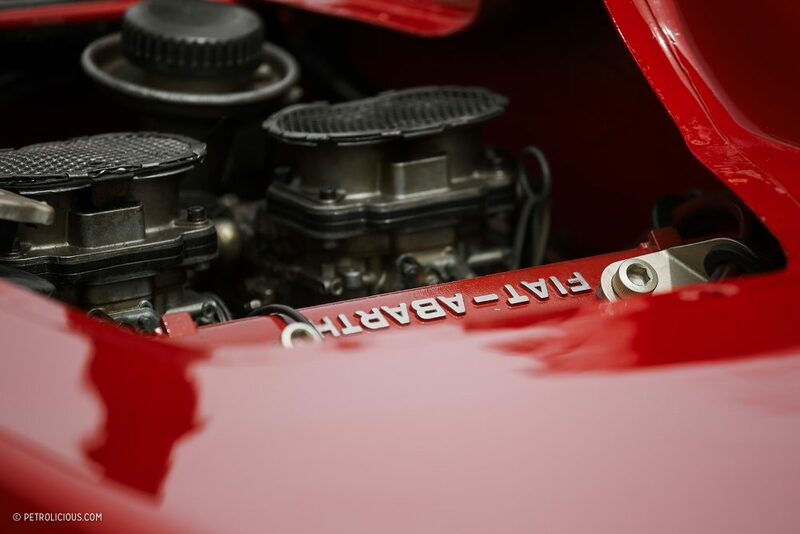 The common phrase “there’s no replacement for displacement” dies upon the realization that a tiny Fiat-based 1000cc four-cylinder engine is capable of making almost 120 hp per liter. 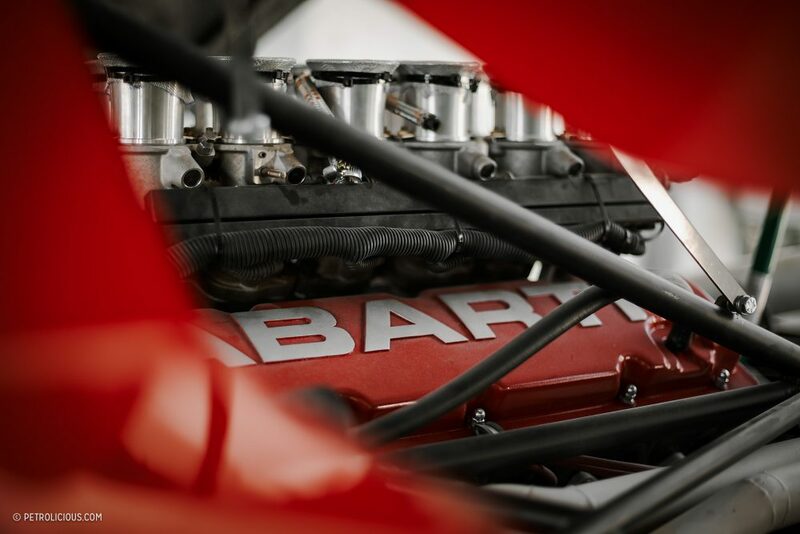 Just for your knowledge, the new Ferrari 812 Superfast makes 123 hp per litre: if this won’t tell you something about “volumetric efficiency,” nothing else will. 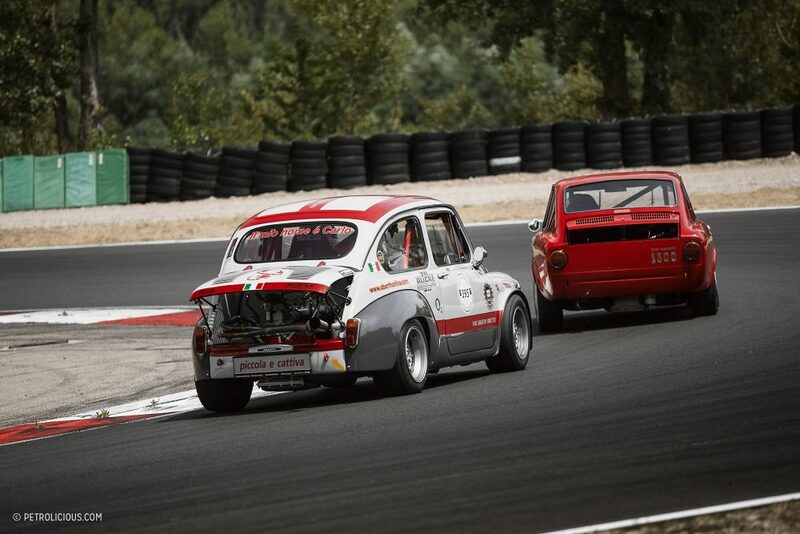 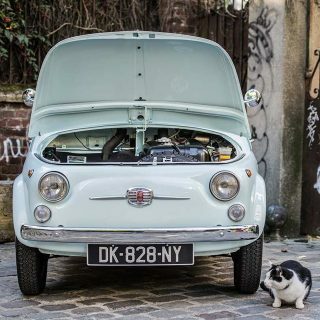 It’s surprising what a pumped-up Fiat-based 1960s engine can do! 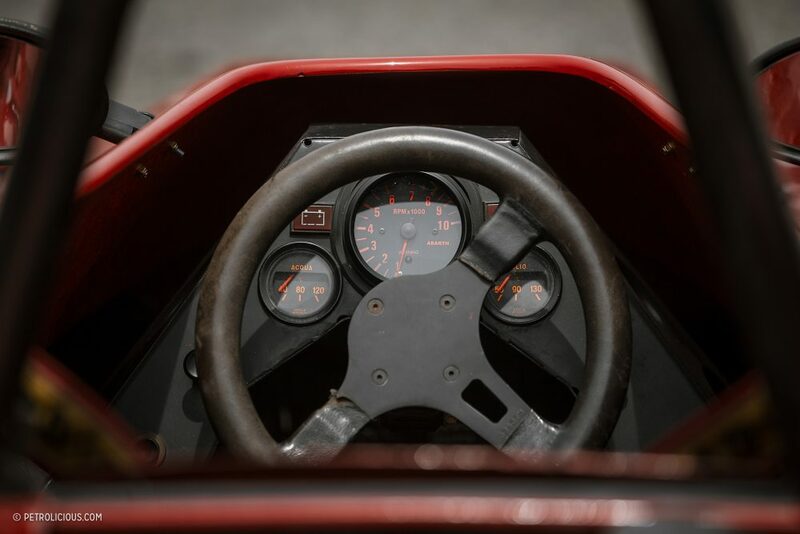 And oh yes, the rev limiter on these tiny terrors is usually around 8000 rpm…isn’t it cool talking about supercar figures for a 50-year-old tiny family saloon? 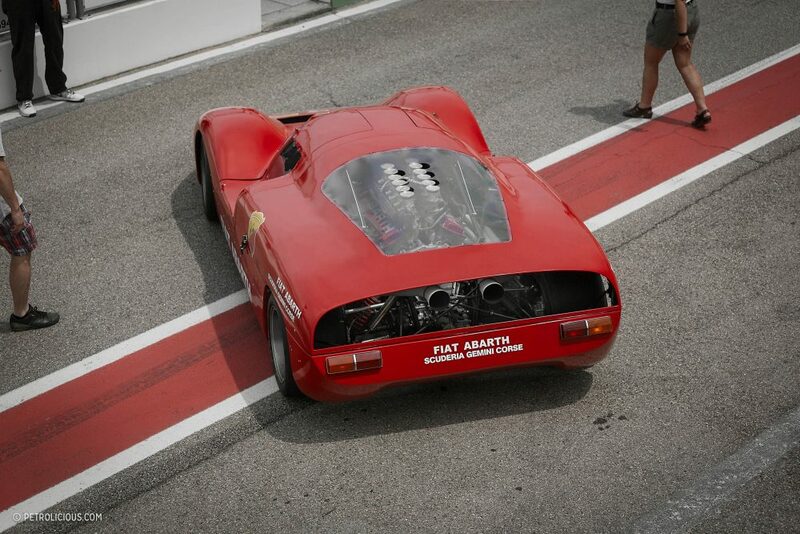 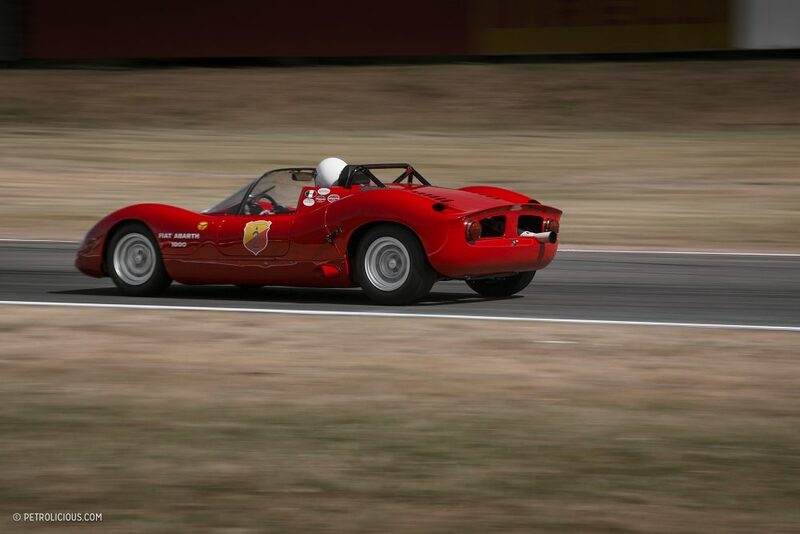 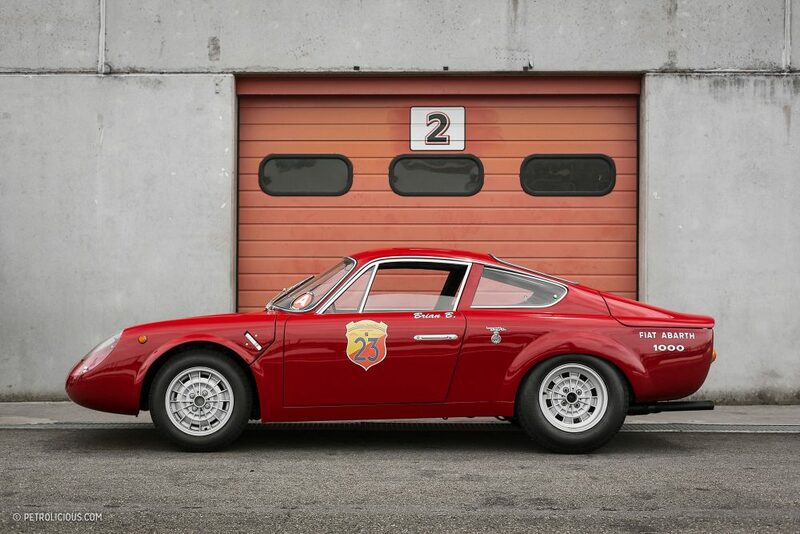 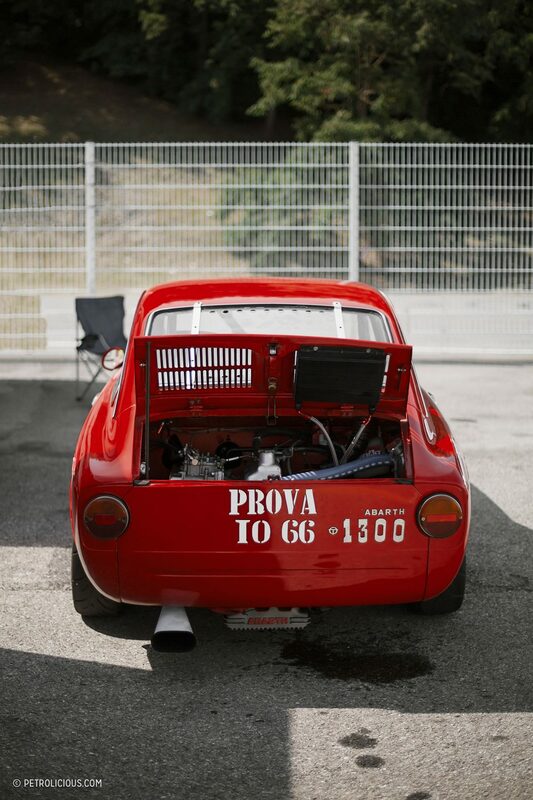 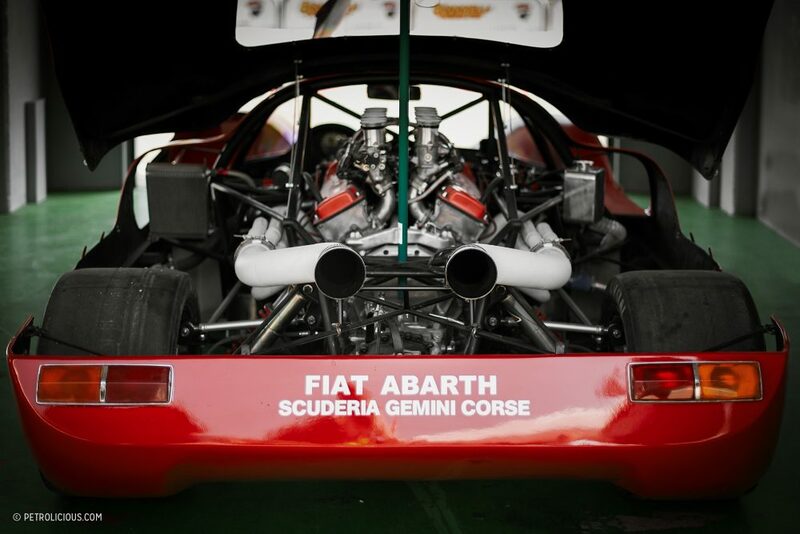 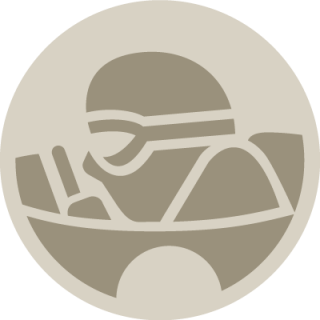 “Abarth means competition history, great cars, and the very soul of motorsport. 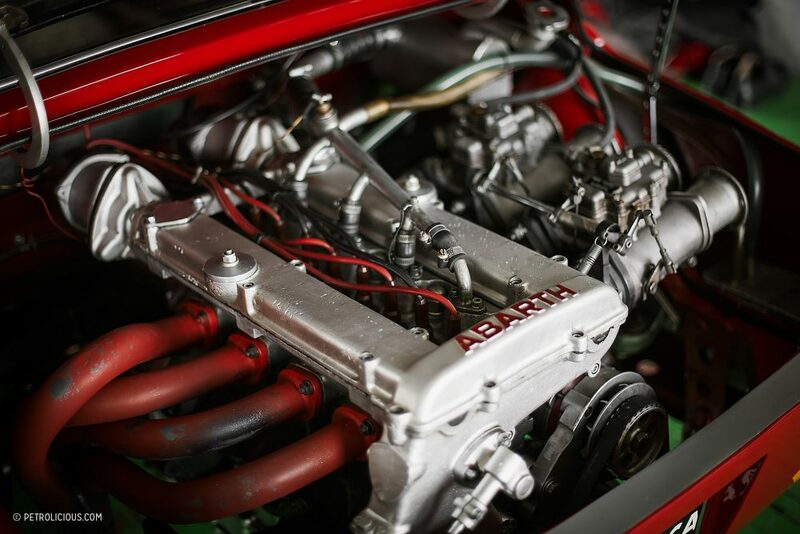 That’s why we’re here today.” Anthony Berni’s enthusiasm is contagious, and passion like his is what defines a person in this world: their goals, dreams, projects, sacrifices. 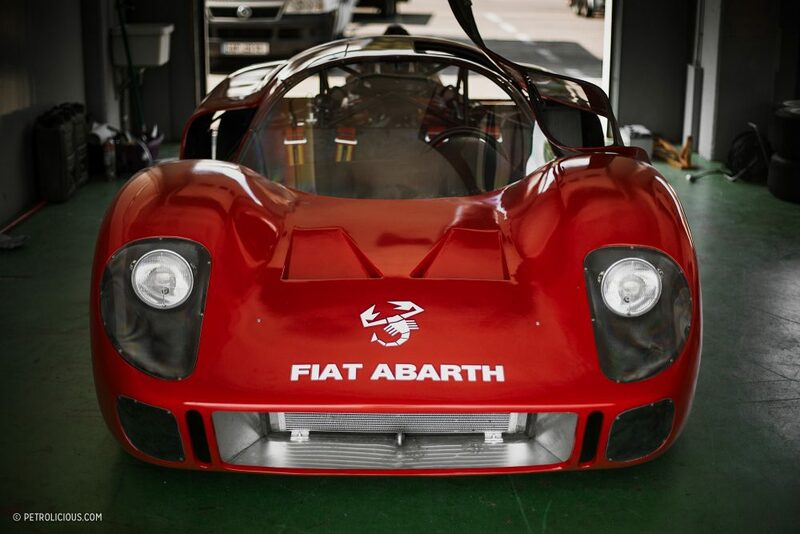 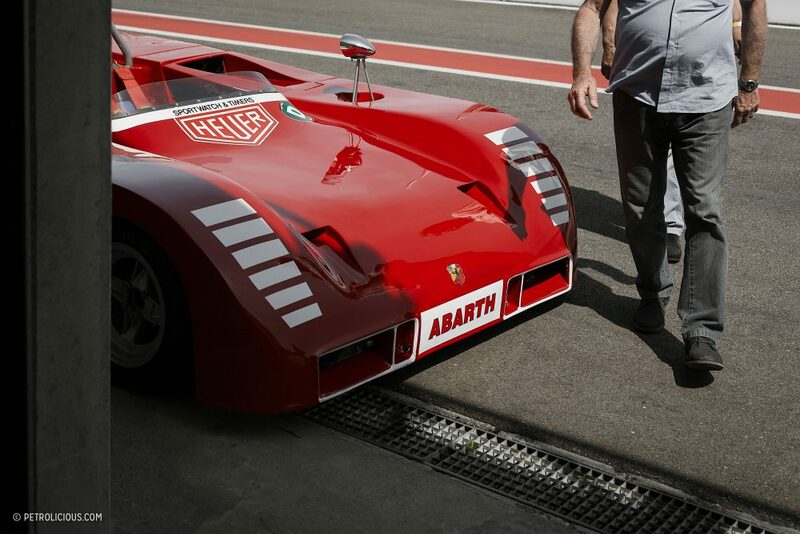 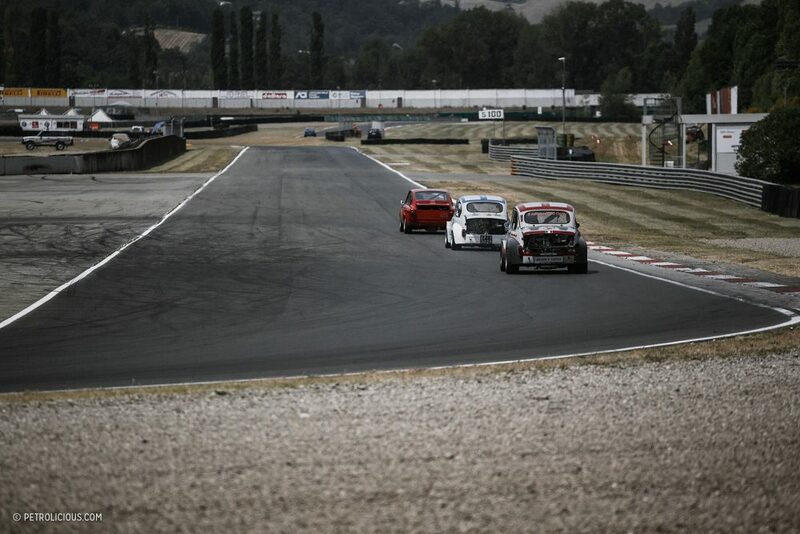 And in the middle of the coolest unknown track day in Europe, the efforts of Anthony Berni and the genius of Karl Abarth’s cars still resonate with the same great intensity. 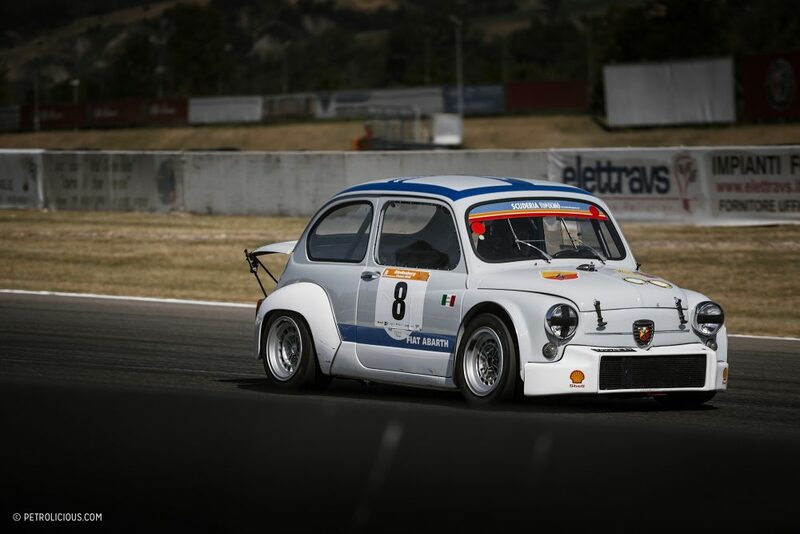 Just discovered this article, and as an Abarth 500 owner, I am thankful that FCA is keeping the name alive. 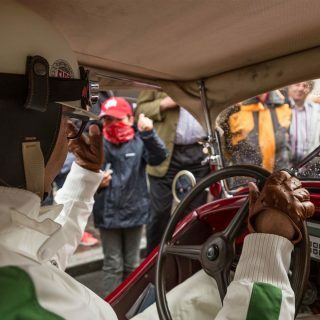 Fantastic photos, I would love to see some video of this event. 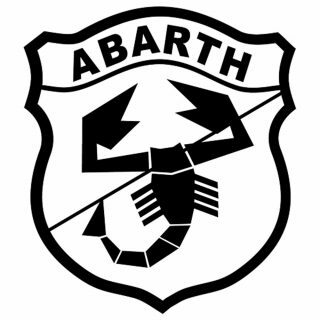 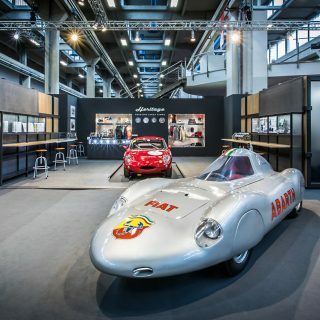 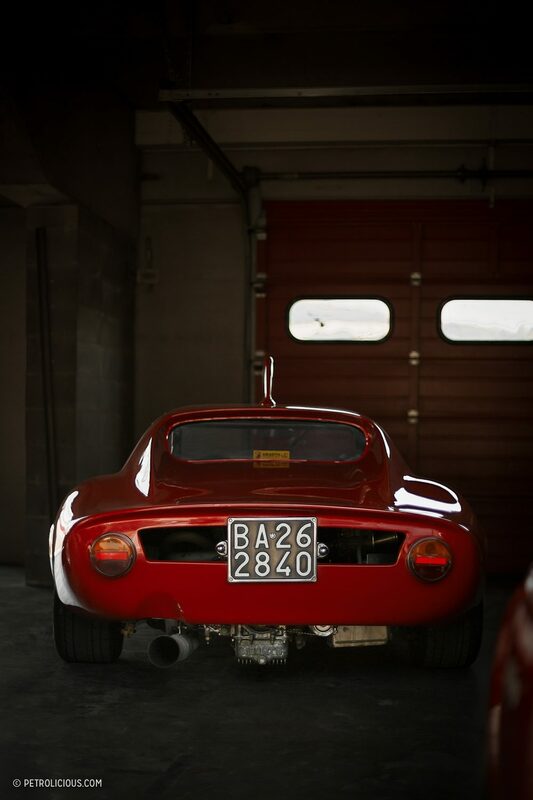 Was Abarth not based at Corso Marche, Torino…?